I love reflecting on the history of THE PLAYERS and thinking of the golfers who have persevered over decades. 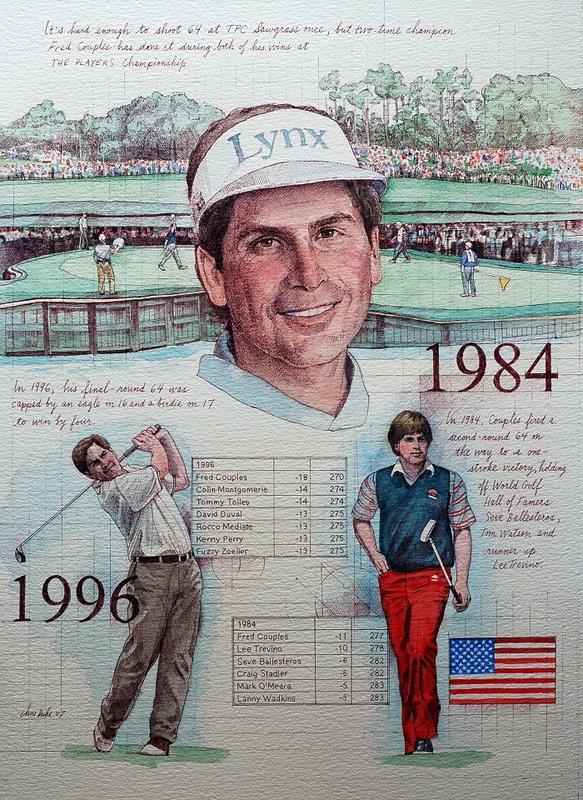 This illustration shows Fred Couples in 1984 and 1996, the years of his two PLAYERS wins. Couples has enjoyed amazing longevity, and in 2013 was inducted into the World Golf Hall of Fame. Maybe he will ace THE PLAYERS once more!